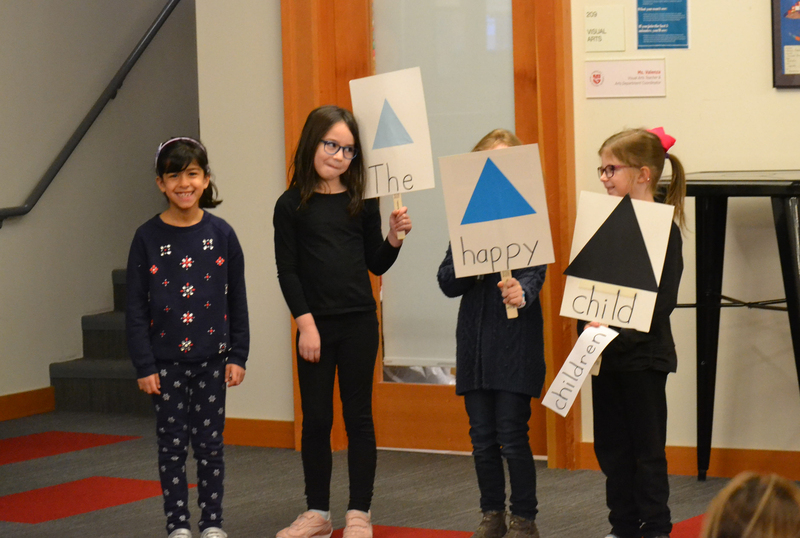 Each month, a particular Lower Elementary class has the opportunity to organize and lead a meeting with all of their community members, to show what they've learned and accomplished in school so far. Classes throughout the building attend the meeting and give an authentic audience to our students. The content of the gathering varies and is completely determined by the class that is leading the meeting. It's always fun to see what each class comes up with! We've seen a variety of approaches taken to leading the community meeting. Some classes choose a project on which they've each been working hard and let students present what they've created individually. 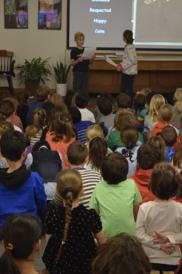 Other classes have joined together on group- or classroom-wide research projects, and presented their findings to the assembled audience. We've also seen live performances of songs and plays! The content is always interesting and educational. From students to adults, you nearly always come away saying, "I didn't know that..."
Our students love having this opportunity to show the skills and knowledge they've gained so far to their friends and peers in a supportive, communal way. It's a way to celebrate success. Knowing that each class will have the opportunity to present during the year is motivational for our students and builds sympathetic connections between students in different grade levels and classes. Our community members love to cheer each other on and celebrate successes together. Community Meetings are a great time to gather collectively and take a moment to focus on how far we've come.